Today’s video is an update on some new skincare I’ve been using and testing out for the last 4 to 5 weeks, this video is done in Hot Or Not? style that way I could mini review more things for you guys. 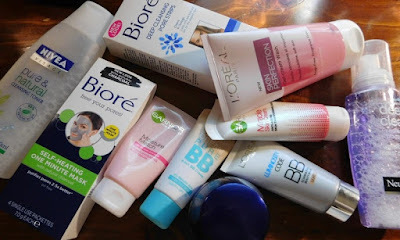 I have skin that changes all the time I started the testing with dry/combo skin and closer to the end I had oily/combo my skin has ALWAYS been like that so it’s not an influence of the products used. But I have been keeping a skin journal and have my mini-review / results what worked for me and what didn’t. THANK YOU for the last 5 Years!